I am a baker. I love to bake cakes and cookies from scratch. I do not, however, bake bread. Before last week I had never made bread. Well, I have made quick breads that don't require yeast. Yeast always made me nervous. You have to have your water at the right temperature, there is rising and kneading and all sorts of opportunities for me to mess it up. 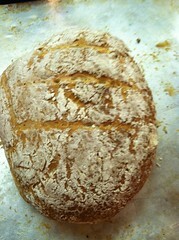 Enter my new favorite product, Fleischmann's Simply Homemade Bread. My friends at Mommy Parties and Mom Select offered me the chance to host a party for my friends to check out the Simply Homemade product line. My girl friends were already meeting at another friend's house(SCORE~I didn't have to clean my house!!) so I took the bread there. I left work at around 5:15, got home around 5:30, spent some time with my husband and my kids then started to make bread. I think I started around 6. By 7:15 I was walking out my door with TWO loaves of fresh homemade bread. 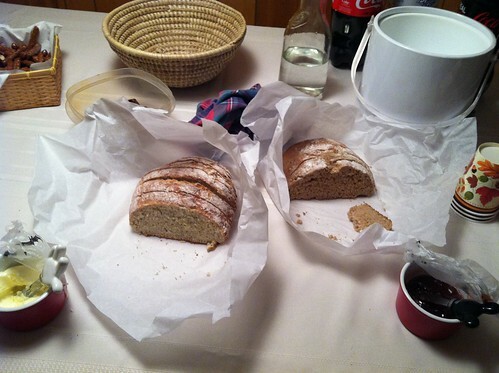 We have just started to have some cool fall weather, so the lovely warm bread I brought into our gathering was a hit. No one was more surprised than I that I made bread and it tasted fantastic. 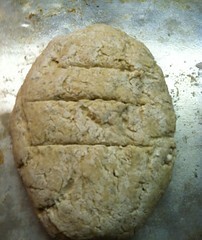 I made the Italian Herb bread and the Multi Grain bread. There are several varieties and each one offers suggestions of mix-ins. Fleischmann's was very kind and sent potholders and coupons for my friends. 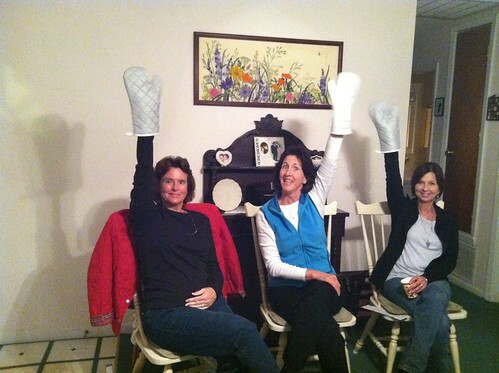 I love my friend for so many reasons, but one reason is they get excited about the small things, like potholders, just like I do! The bread took no time at all to disappear. It was halfway gone before I was able to get a picture of it! My daughter and I made a video of our breadmaking experience too! Thank you to Fleischmann's for the bread mixes, potholders and coupons. Thank you to Mommy Parties and Mom Select for the opportunity. The product was provided but my opinions remain my own and are not influenced by product received.